Short Message Service (SMS) or text messages are being sent directly to the mobile phone numbers of customers who have signed up or “opted in” to receive specials and deals from a business are proving to be one of the best marketing strategies of any kind. This type of marketing, known as Mobile Phone Advertising or Mobile Marketing is perfect for industries such as retail and food & beverage businesses but can work equally as well for many different types of businesses. Visa & Gap began a text message campaign strategy in November according to a recent article found on Computer World Magazine’s website. How this works, is that the business designs an offer to motivate the customer to sign up or opt in to receive specials or other information from the business in exchange for their mobile phone number. Once the customer has opted in, they then will receive additional offers by text message and they can redeem them by showing the text message to the cashier at the point of purchase. In this particular instance, according to the article, the system uses Visa’s “Global Processing Network” and will be available to retailers nationwide in the future however, no specific timeline has been established or announced. The power in this service as Jim McCarty, Visa’s global head of products pointed out, is that the processing of these messages is so fast that it’s possible to be able to reach the customer while they are still out shopping. Buy one pair of Gap Jeans and get half off the second pair. Reply STOP to end these messages. It’s reported that 72% of mobile device users say that they would like to receive messages like these from companies that they do business with. It’s also worth mentioning that every message sent out from any company is required to give you the option to “opt out” so no customer is ever stuck receiving messages that they no longer want. This also means that your messages are laser targeted and only received by people who are interested in your product or service. Plus, since you pay by the message, your marketing dollars are spent on exactly who you want to spend them on; people who are already interested in your products or services. Computer World’s article quotes Amy Carr, Gap’s Director of Customer Relatioship Management Strategy, as saying that they have gained valuable insights into their customer base and that she believes this will lead to improvements in the way Gap targets its promotions. The best news is that you don’t have to wait or be as big as the Gap or Visa to take advantage of mobile marketing in your business. Charleston Mobile Marketing has a plan available for every business size and marketing budget. Prices for mobile phone advertising start as low as 0.025 per message based on volume and a start up package, complete with marketing strategy can cost as little as $99.00 per month. Of course, a good plan will grow with you as your business grows and our mobile marketing plans do just that. If you would like to know more about leaning what is involved in mobile marketing strategies for your business, give us a call at 843-647-0489 or toll free: 866-945-9707. P.S. 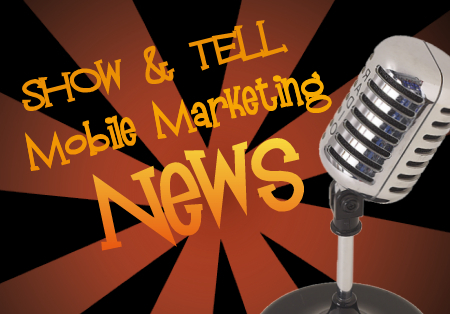 If you would like to learn more about mobile marketing, text show&tell to 72727 and stay on top of the latest mobile marketing news, trends, and strategies.